A full trailer for what is expected to be the final Toy Story film has arrived. 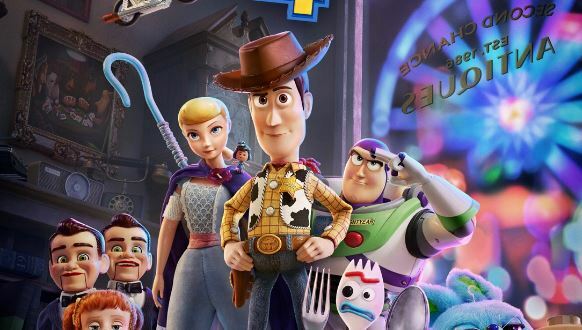 Featuring the Beach Boys’ classic song God Only Knows, the teaser reveals what we can expect from Toy Story 4, including old favourites Woody and Buzz. And returning for the first time since the second film in the franchise is Bo Peep. The new film, first teased during the Super Bowl, comes nine years after Toy Story 3, and almost 25 years since the first film was released. Speaking on Chris Evans’ Radio 2 Breakfast show last year, Tom Hanks, who voices Woody, said that the finale will be an emotional one. “The way you record Toy Story, you’re in a room with the team that has created it,” he said. “When I went in for my last day of recording, I wanted to have my back to them, because usually, you’re facing him so he can look right up and you can talk about it. But I didn’t want to see them and pretend they couldn’t see me. While many are looking forward to the next instalment of the story, Toy Story 3 was widely regarded as having a perfect end to the tale. The film’s ending saw Woody’s owner Andy giving his toys to the younger Bonnie. Toy Story 4 will be released in cinemas on 21 June 2019.